The AFC West division has taken a back seat to all the other divisions in the AFC conference over the last decade or so, but this season or three teams within the division and are looking pretty good right now and could be a force to be reckoned with come playoff time. The two teams within AFC West that seem to have the best chance of winning the division title at season’s end are the Kansas City Chiefs and the Oakland Raiders, but the San Diego Chargers are still looming in the background and haven’t been knocked out of contention just yet as they were able to beat the Kansas City Chiefs (31-0) in Week 14 and get the best of the San Francisco 49ers (34-7) this past Thursday. Even though the San Diego Chargers are still hanging around and the Kansas City Chiefs are leading the way in the division, the Oakland Raiders have a very good chance of being playoff bound if they can continue to win football games in the NFL regular-season. 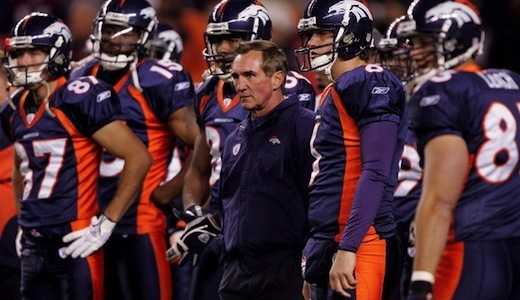 Halfway through the NFL regular season, the Oakland Raiders headed to the Mile High City to take on the Denver Broncos in what was thought to be a hard-fought battle from start to finish as there is no love lost between these two division rivals. Unfortunately, the Denver Broncos defense failed to show up in this matchup and the Oakland Raiders offense had a historic day as they scored a franchise best 59 points in the route of their division rivals. 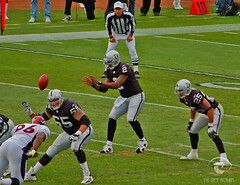 In Week 15, the Denver Broncos will head to Oakland to get some revenge for their historic loss at midseason against the Oakland Raiders, but despite not be able to turn a negative into positive, the Broncos will come into this game in even worse shape than they were after they were in embarrassed by the Raiders earlier in the year. One intriguing part of this and AFC West showdown is that rookie quarterback Tim Tebow might get his first start in the NFL as Kyle Orton is a bit banged up right now. If Tebow is going to be the Broncos quarterback under center this weekend, Denver might have an outside chance of avenging their embarrassing loss. With Tebow under center, the Broncos offense becomes that much more dynamic in the ground game and might just be too much for the Raiders to handle. In my opinion though, no matter what the Denver Broncos do in this game or what players they put on the field, the Oakland Raiders will come out top by convincing margin and should cover the -6.5 point spread.